A team of scientists led by Professor Lim Chwee Teck, Principal Investigator at the Mechanobiology Institute, Singapore (MBI) and the Department of Biomedical Engineering at the National University of Singapore (NUS) and NUS Ph.D. graduate Dr. Khoo Bee Luan, has developed a novel and robust cancer cell-based assay that could help clinicians to diagnose cancer, monitor the disease state and customise drug therapies for each individual patient. The NUS-developed microfluidic device, which allows for precise control of fluids at the submillimetre scale, cultures circulating tumour cells (CTCs) collected from a patient's blood, and grows the CTC clusters in its microwells. CTCs are cells that break away from the primary tumour and are carried around the body in the blood circulatory system. They can be obtained from a simple blood draw, also known as a liquid biopsy. Assessment of the CTCs can provide information about a patient's cancer, rather than through highly invasive and painful tumour tissue biopsy. As these tumour cell clusters can closely mimic that of a patient's tumour, different anticancer drugs can be tested on the clusters to determine the most effective treatment for the patient. Liquid biopsy, which involves scanning the blood for CTCs, is the new wave in cancer screening. The assessment of CTCs can provide real-time information about a patient's cancer and liquid biopsies can substitute current methods for detection and evaluation of cancer. "Imaging techniques suffer from limitations in resolution that can lead to false-negative results. Tumour biopsies involve highly invasive procedures that can cause great discomfort and can also be expensive. Hence, tissue biopsies are generally used as a diagnostic tool only before and after cancer treatment. In contrast, the evaluation of CTCs from liquid biopsies can provide regular, ongoing information for assessing metastatic risk, prognosis and treatment efficacy," said Prof Lim, who is also Acting Director of BIGHEART (Biomedical Institute for Global Health Research and Technology) at NUS. CTCs comprise many sub-populations and are very difficult to detect. Owing to this rarity, the population of CTCs needs to be expanded before they can be used for clinical analysis. 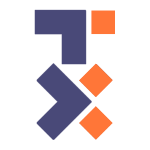 Conventional CTC expansion techniques take about six months or longer. 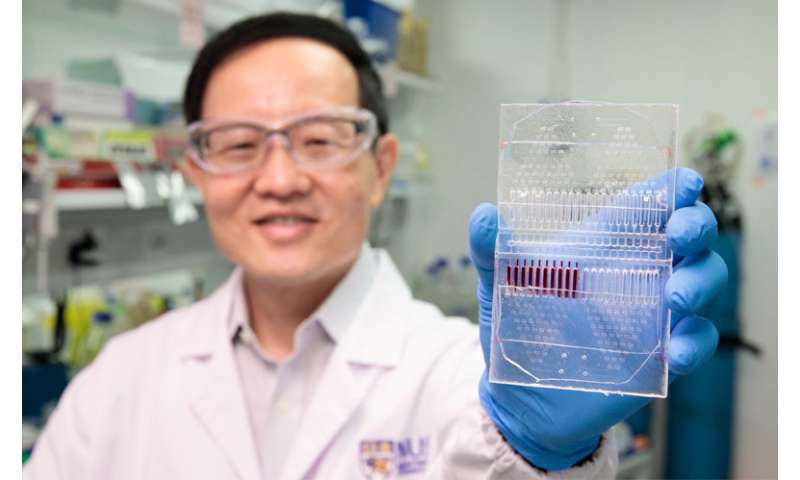 The microfluidic device developed by the NUS team promotes CTC cluster formation within two weeks, with an overall cluster formation success rate of over 50 per cent which is twice higher than the current methods. Hence, patients could receive screening results faster. Using the device, doctors could test a range of drugs on the cultured tumour cell clusters to determine the ones that could effectively attack the cancer cells of a patient. The device also enables two or more drugs, at various concentrations, to be tested concurrently. This approach will facilitate the development of personalised therapies, tailored to meet the different needs of each patient. "Doctors are increasingly aware that a "trial and error" or "one size fits all" approach is not suitable for cancer treatment. This practice is inefficient and frequently results in inappropriate therapy and problematic side effects. In contrast, personalised treatment, tailored to the individual patient's cancer type and progression, has the potential to increase efficacy and decrease toxicity. A critical advantage of our approach is its potential to predict a patient's response to therapeutic treatment by performing tests on their own cancer cells," Prof Lim explained. Clinical collaborator of the project, Dr. Lee Soo Chin from the National University Cancer Institute, Singapore, said, "We are excited that this novel approach has the potential for translation into a hospital setting as prior approaches for growing cancer cells had low efficiency, required extensive periods for culture establishment, or compromised quality of the cells due to pre-enrichment. This device will provide a cost-effective and less-invasive means of routine monitoring of disease progression. The CTCs can be collected at various time points to determine which treatment would be most beneficial for the patient." A research paper describing the team's work was published in Nature Protocols in January 2018.